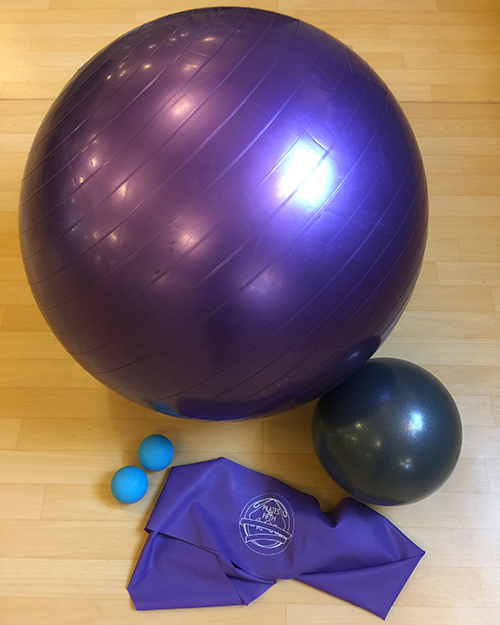 We've add massage balls and a stability ball to the fabulous small ball and stretch band in the Silver Bundle. The stability ball adds (ironically) instability, which translates into A LOT of core involvement in each and every exercise. And guess what? Even when you're not exercising, you can use the stability ball in place of your favorite chair! (What better way to work your core more?) The massage balls are EXCELLENT for spot-relieving tension in cranky muscles: hamstrings, calves, upper back, and hips.